In today’s 21st-century Iran, the church is increasingly under intensifying persecution from both society and the state, as Christianity—and anyone involved in spreading it—is seen as a threat to the Republic’s Islamic identity. But like the early church of Acts that expanded exponentially in the face of persecution, the persecuted church of Iran is also multiplying and experiencing explosive growth. The story of former house church leader Wahid shows why. “On Sundays we have about 200 attendees here,” says Wahid, inviting us into the church he pastors abroad: a spacious hall with a stage full of instruments. It’s vastly different from the church he pastored in Iran where the church was no bigger than a living room, the “worship band” a simple cassette player. Still, it wasn’t Wahid’s own choice to leave his country. He led a good life, ran a drycleaning business. But because of his decision to follow Jesus, increasing pressure forced him to flee. Now he lives in another country in the region with thousands of other refugees. Wahid is married and the proud father of a two-and-a-half-year-old son. He shows a picture of a curly-haired boy. His own growing up years were challenging. He is a child of divorced parents. The real depression kicked in after Wahid’s mother died. He had lived with her all his life, and as a young teenager had to live with his father who gave him little love. 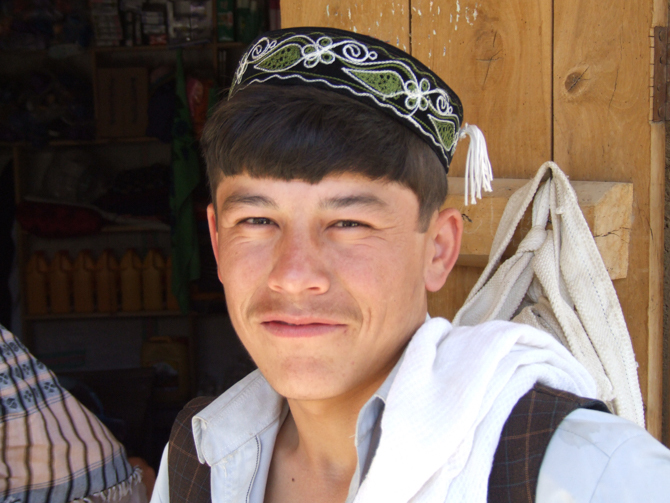 Wahid was raised as a Muslim, but the circumstances in his life made him despise Islam. As a teenager, he hated his life. He shares how meeting Jesus changed his life. One of his friends had become a Christian and told him about his new faith. That night, Wahid found Christ. When Wahid entered the house church, he had to reach back a long way to that first experience of finding peace in Jesus. Because, while the other believers accepted him and loved him unconditionally, the outside world was harsh towards his new faith. Persecution grew worse when Wahid started attending an underground church and later even became a leader in it. Tensions rose, and for a whole year the house church even decided to split up into small groups of two or three people to avoid government attention. But it didn’t help. On a day when 25 believers had gathered, the security forces entered the house, shouting, cursing and filming everything. Wahid and many other church members ended up in prison. First in isolated cells, then in the overcrowded general wards. At night, they slept pressed together, like books in a library. But by day, they struggled with the overcrowded sanitary facilities. Wahid developed serious lung issues because of the bad conditions in prison. But wherever they were and how bad the conditions and circumstances were, one thing remained constant: these believers still had the Lord inside inside them. The church did not die in prison. Many came to faith through Wahid and his fellow church members. Even though his imprisonment, and the subsequent pressure, forced him out of Iran, the church in Iran continues to grow. In 2016, the mission research organization Operation World named Iran as having the fastest-growing evangelical church in the world. Compared to roughly 500 known Christians in 1979, there are now approximately 500,000 (some sources say up to 1 million secret believers). According to Elam Ministries, an organization founded in 1990 by Iranian church leaders, more Iranians have become Christians in the last 20 years than in the previous 13 centuries put together since Islam came to Iran. That growth continues to create tension between the government and the church. “As Christianity grows rapidly in Iran, the Islamic government and the clergy in power are alarmed,” said Dr. Hormoz Shariat, president and founder of Iran Alive Ministries. The church continues to grow despite increasing and intensifying persecution. Because people like Wahid didn’t give up on their faith when they faced persecution. For Wahid, that isn’t even a logical argument.